I just love it when serious designers get in the play mode and create something fun. 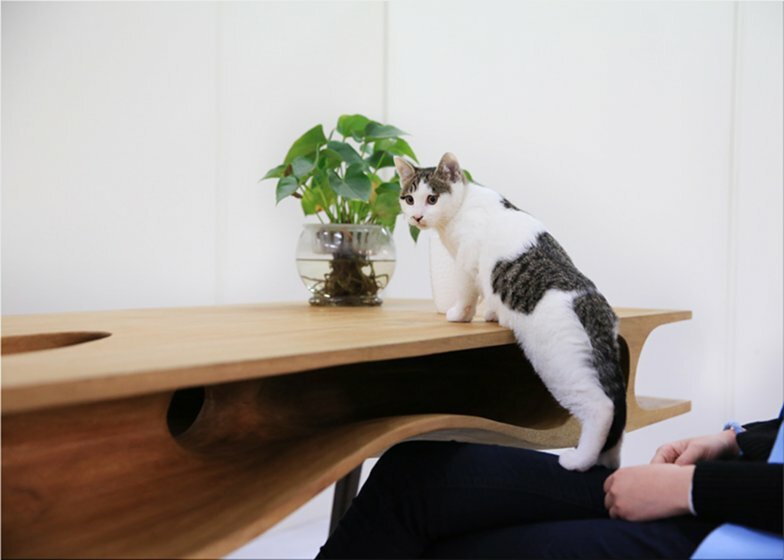 Like this cat table found while perusing the web, that instantly put a smile on my face. It was created with the cat (freelancer) person in mind who works at his desk and an exploring heaven for kitty. I fully agree with this design principle, the objects present in our homes should contribute to all dweller’s happiness, legs or paws included. 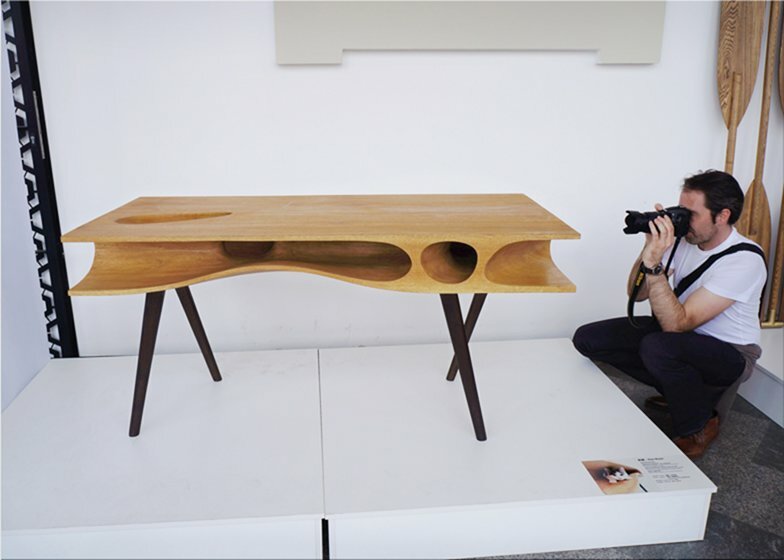 Ruan Hao: "The design of CATable was a fusion of those experiences, as well a locus where the interaction occurs. 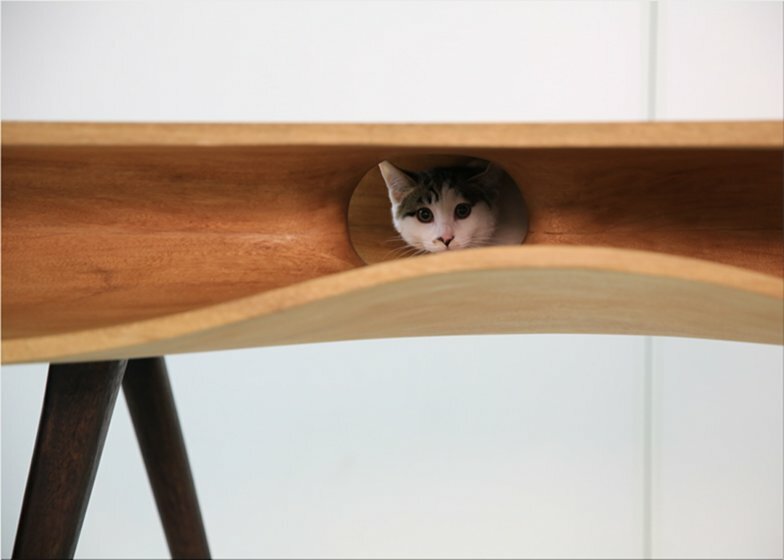 It is a table for us, and a paradise for cats." Price: $4,799 - Available here.